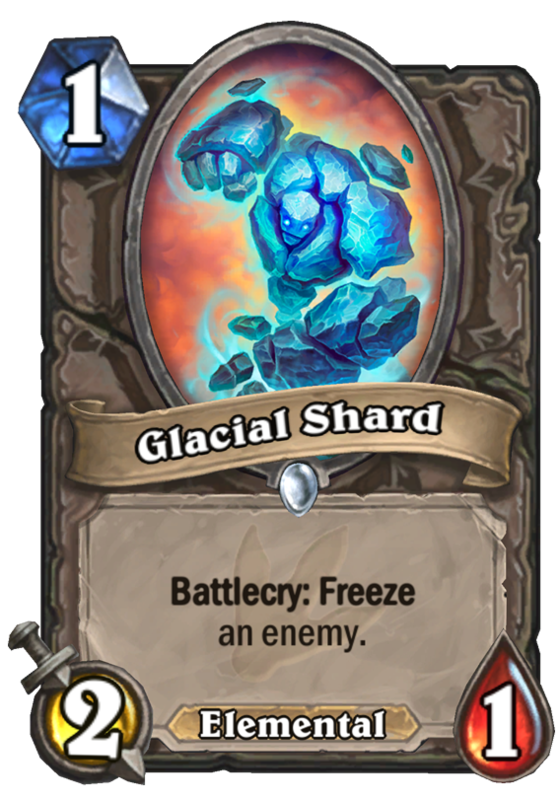 Glacial Shard is a 1 Mana Cost Common Neutral Minion Elemental card from the Journey to Un'Goro set! I mean it seems good and all but what deck would even run it? Doesn’t really fit into any current deck archetypes, combo with corruption/shatter isn’t really good enough as 2 card single target removal doesn’t sound that good no matter how cheap it is, gives your opponent card advantage. THIS! When you see a good 1 drop, you know it’s going to see play. This card is nutz, fam. Shatter meta! Shatter meta! Doesn’t actually kill a minion, but its good in a pirate warrior matchup and perhaps in zoolock with corruption? Interesting card. Personally, I don’t see it as ridiculously OP. 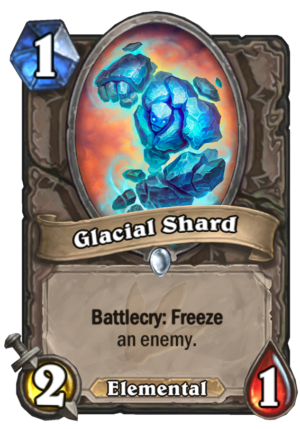 Glacial shard is interesting. It’s 2/1 stat allows it to trade up into with anything that has 2, but if you go first it dose nothing made you can freeze their face to prevent a coin into a 2 manna weapon. if you’re going second you could freeze any weapon class for a slight tempo advantage or their one drop, If your opponent plays a one drop that has 2 hp you get the trade most of the time unless you’re faceing a mage. 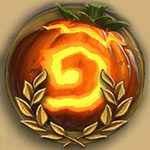 IF we put this into the reno/zoo deck, which will soon be just a kaza/zoo, we can run corruption( a lesser degree in shatter ) to help in the controll match as it will give us a cheap removal. Glacial shard dose allow tempo gain, it is best played on a board with exactly one minion on the board and can be played both early and late because of it. Lol, cool way, I didn’t think about that. Helps the turn 1 vs turn 2 discrepincy in arena. Freeze your opponents turn 1 play if youre going second, could give you back some tempo. OMG this card is broken ! 1 Mana Frost elemental ! …. wait … wtf am i supposed to do with it ? Freeze my opponent face on turn 1 ? Glacial shard + shatter (lol, bad Hex) ? Nah, Kripp will probably like this card. Much better going second, which Kripp is always moaning that more cards should be. Might as well be a Mage card. Hmm, will Shatter finally see some play in Elemental Mage maybe? Hmmm I like that idea. 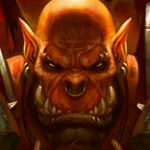 Then again I don’t I don’t wanna play against that crap.